THANK YOU ZION, YOU WORK SO MUCH FOR US, I BLESS YOU AND YOUR FAMILY, FOR EVERYTHING YOU DO FOR US. Many thanks and blessings! You answer me the question I have ask in my morning reading of the Torah. I would also like to Thank You for all your generous time and light you give us!! G-d Bless….Thank You!!! many thanks for sharing unconditional love and knowledge in every lesson in Rabbi Shimon.com, in Daily Zohar and each reply in comments. 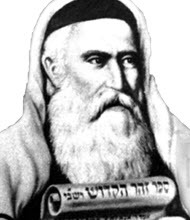 Rav Berg was the director of the Kabbalah Centre. He wrote a lot of books about Kabbalah based on the teaching or Rabbi Ashlag and Rabbi Brandwein, the student of Rabbi Ashlag. Muito obrigado por compartilhar seus conhecimentos . Ótimos estudos e orientações, principalmente para um iniciante como eu. Que Du’s o abençoe sempre.